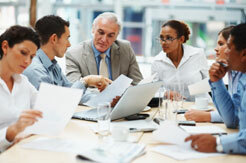 Altometrixs excels at working collaboratively with their clients. We partner with our clients from the beginning to understand the opportunities/issues and what is important to them. We do a categorization of the issues/opportunities to establish the right priorities. Altometrixs expertise is designed to apply it skills and expertise to create impactful business results early and incrementally over time. Based on our extensive work across companies and business situations, Altometrixs has developed a large set of proprietary methodologies to pragmatically and rapidly dissect your particular situation. As part of your onsite team, Altometrixs will interact with your subject matter experts to understand the opportunity, the pertinent issues and challenges at hand. During the next phase, we will share our cross-industry experience to complement your in-house expertise, resulting in a logical, step-by-step plan to address identified deficiencies and needs. Our detailed implementation plan will help your organization bridge the gap towards a high-performing, industry-leading process, and incorporates the necessary reporting and benchmarking metrics to track both quantitative and qualitative results. At the conclusion of our engagement, Altometrixs will provide the necessary training and documentation enabling you and your team to independently drive and sustain results to the next level. The methodology resonates the pragmatic team approach and creates the forum to effectively work with your team. It combines the extensive experiences gained in problem solving across multiple clients with varying learning styles and the operational experiences resolving and implementing solutions under strict time constraints. The methodology integrates your team into the process and realizes the benefits of a simple, direct team focused approach. It allows for appropriate assessment time with your team to identify and implement near term opportunities and utilizing this to create the foundation for identifying and implementing long term opportunities. 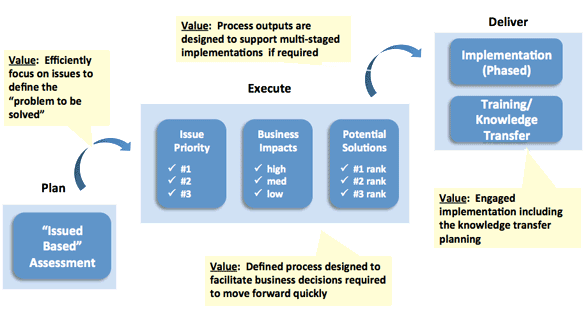 The methodology can be categorized into three core components; Plan, Execute and Deliver. The value is in the combined efforts of your team and Altometrixs artful execution of these components collectively. It is focused on delivering results, and provides the opportunity for full engagement with your team to take ownership of the business results. Typical results and outcomes are a function of the needs of your organization. They are customized to adapt to the needs of your immediate management, brand team and/or the organization. Clearly identifying and agreeing on the outcomes from the beginning ensures expectations are realistic and can be fully satisfied. The outcomes can be in the form of a strategy, critical business/analytical assessment, contract/negotiation strategy, organizational assessment/design to critical problem solving of a single and/or multi-faceted issue to an execution plan inclusive of metrics (scorecards/dashboards).